More than any other sport, boxing is a profession with a dark side just as visible as its finer points. Every year, the sport delivers absurd moments and horrific tragedies, the latter always giving fuel to those who call for boxing to be banned. While 2013 didn’t have anything as high-profile as say, 1997’s Tyson-Holyfield ear-biting incident, we did have our fair share of spectacles and tearful moments. Here are the “best” of the bunch. The boxing world lost two notable heavyweight figures in Ken Norton and Tommy Morrison. The former’s death was sad but not wholly unexpected, as the man once known as Black Hercules had been in bad health for the last several years. The same, to a degree, can be said about Tommy Morrison, who suffered for HIV/AIDS complications and finally succumbed after denying his illness for years. Along with MMA, boxing is one of the last human institutions that recalls our more bloodthirsty days. While boxing has many rules in place for the safety of fighters and to prevent serious injury, the reality is that the human skull and body are not made to take repeated, knockout-inducing blows. Therefore, every boxer steps in the ring and essentially dances with death as they dodge every opponent’s punch. A few were not so lucky in 2013. Frankie Leal and Tubogus Sakti are two fighters from different ends of the career spectrum who met the same fate. Leal was a veteran well past his best who shouldn’t have been in the ring after suffering previous bad knockouts. Sakti was only 17 years old and at the time of his passing, 2-2 as a professional. Robberies will never be completely eradicated from boxing as long as the “outrage” is confined to Twitter and a rant from Teddy Atlas. We’ve had worst years on this front, but these stood out the most either from the actual verdict or the wide nature of the cards, indicating they were filled out well before the actual bout. RANCES BARTHELEMY UD12 ARASH USMANEE — Let’s ignore clean-punching and give it to the guy who’s coming forward and eating shots! 2013 started off with a very sour note courtesy of this decision. You can read the recap and still watch the fight here. RICKY BURNS SPLIT DRAW RAY BELTRAN — Burns bravely fought through a broken jaw suffered in the early rounds, but a hometown robbery is a hometown robbery. Just ask Burns’ own fans who booed the verdict. CARL FROCH TKO9 GEORGE GROVES — A great fight ruined by an overzealous ref who robbed both fighters of a definitive verdict. JULIO CESAR CHAVEZ JR. UD10 BRIAN VERA — Believe it or not, I could live with a close Chavez Jr. win, but not the 98-92 score from Gwen Adair, or even the 97-93 score from Marty Denkin. How convenient that Chavez got another break. DERECK CHISORA TKO6 MALIK SCOTT — According to the rulebook, a fighter is supposed to be up BEFORE the ten count. Scott looked to be doing just that as he attempted to rise right after the nine count. The ref didn’t see it that way. 9/10, a ref pauses the count and lets the fight go on. Technically, he can get away with calling Scott out, but I feel this is another fight where we were robbed of a conclusive, uncontroversial ending. 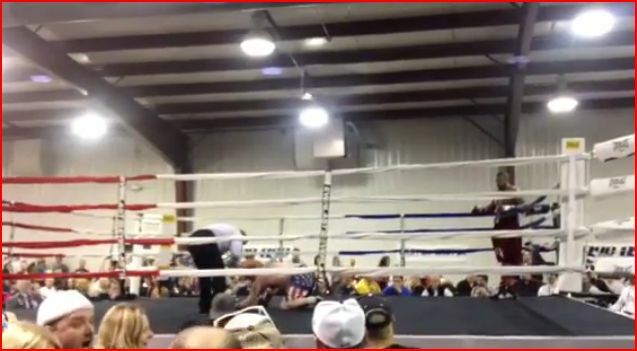 Fights fans’ love affair with referee Steve Smoger took a bit of a hit in 2013. First up was his behavior in Bernard Hopkins entertaining decision win over Karo Murat. As you can see from the gif at the beginning of this section, Smoger showed blatant favoritism for B-Hop, as if Murat was fighting his own brother. His hugging of Hopkins afterward looked straight out of a WWE match. The second bad moment was not recognizing Tapia was finished and letting him come out for that last round. Forget kissing him afterward — what he needed from Smoger was protection from the final brutal shot. She scored Mayweather vs. Canelo a draw, 114-114. Do I really need to say anthing else? Better yet, I’ll let Teddy do it for me. According to the card promoter, Capes was a last-second replacement to fight former NFL player Ray Edwards. After seeing Edwards’ size, Capes got shook and decided to try his hand at acting rather than take a solid blow. This was hilarious and one of the worst dives you’ll ever witness. 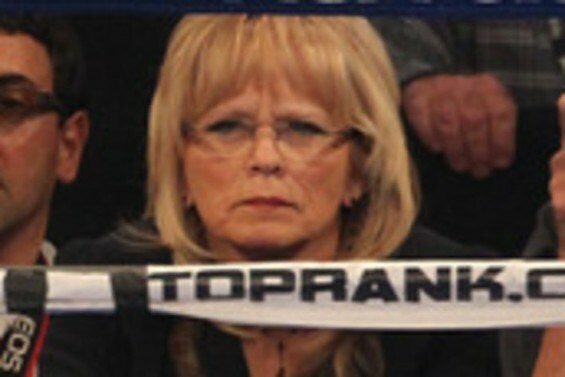 The North Dakota boxing commission rightfully suspended Capes for this fiasco. 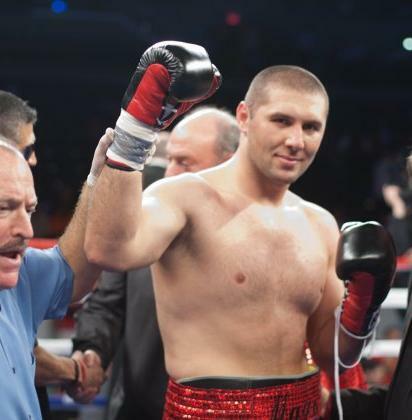 When he entered the ring on November 2, Magomed Abdusalamov was an undefeated, promising heavyweight. After going 10 brutal rounds with Mike Perez, and several times complaining of facial pain and dizziness, he was in a coma and fighting for his life. At this moment, Abdusalamov is in a New York hospital, only able to communicate with eye movement. Half of his head is caved in, the result of emergency brain surgery to reduce swelling. His once-powerful 6’3 frame has already lost much of its former muscle mass, the result of being bed-ridden for nearly two months. Doctors will consider it a major success if he ever walks and talks again, things we take for granted every single day. The next time you think of chastising a fighter for “quitting” at a time you deem too early, remember Magomed Abdusalamov and what can happen if they go on too long.